We are a specialty design and print shop featuring letterpress printing, foil stamping and die-cutting. Utilizing the best papers in a wide variety of weights, we’re experts in the processes which beautifully lend themselves to the finest business cards, wedding invitations and stationery. 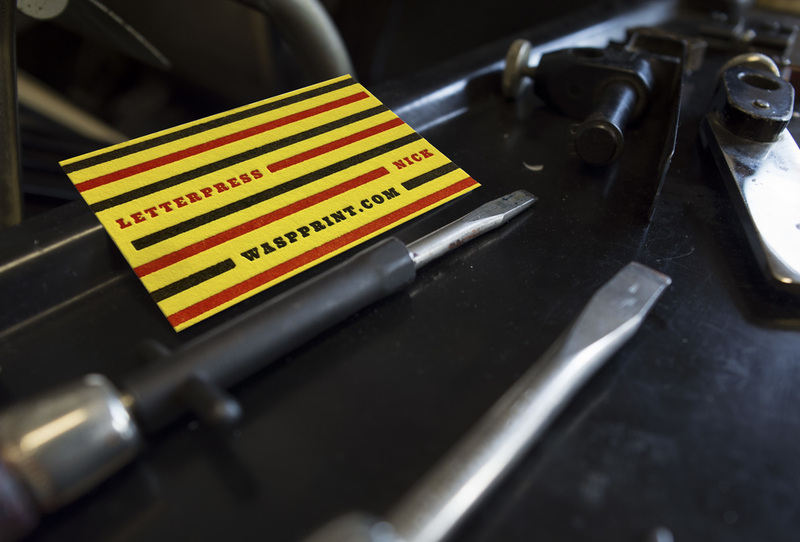 Established in 2011 in Brooklyn, NY, Wasp Poster and Print also crafts posters, art prints, chapbooks, and all manner of creative printed matter. Utilizing both hand set type and the most current digital to photopolymer technologies, Wasp celebrates tradition while expanding the possibilities of the world of printed objects. You can read more about us on the Boxcar Press Blog.